SKU: . Category: Battlewagon Buckets. 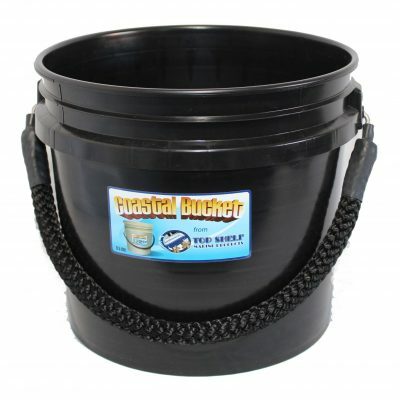 The “Coastal Bucket” incorporates some of the same great features of the Battlewagon Bucket but in a smaller footprint. 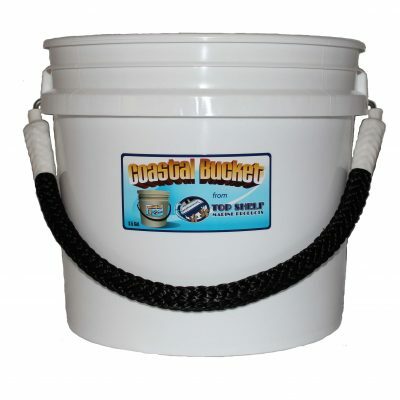 This 3.5 Gallon, 11″ tall bucket is more compact to take up less space on Coastal, Bay and Flats Boats. They store easily in smaller lockers and fish boxes. 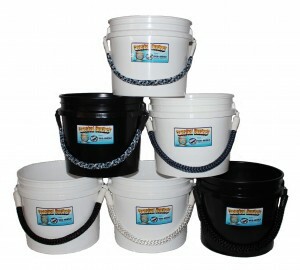 Kayakers and Pier Fisherman will like the smaller capacity as well. And just like the Battlewagon Bucket it uses the same 5/8″ Diameter Euro-Strand Rope and the same Patented Stainless Steel transition hooks, so there are no holes or knots to accommodate the rope handle. 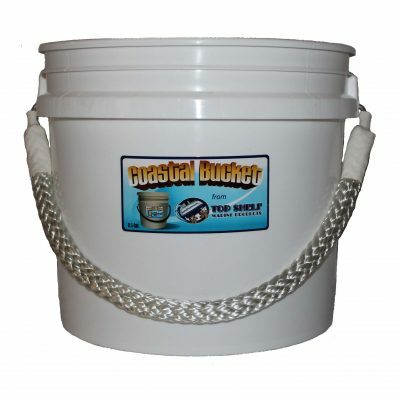 The Coastal Bucket can be filled to capacity without leaking and multiple buckets can be easily stacked. 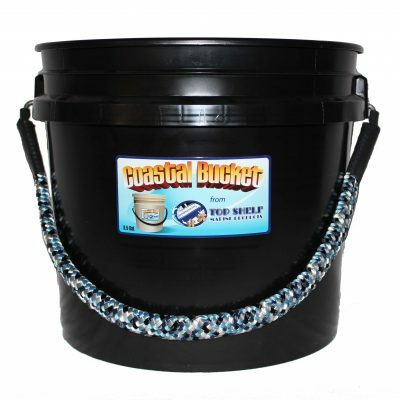 The Coastal Bucket uses the same lids as the Battlewagon Bucket and together they make great dry storage for cast nets, dry chum and bait, spare engine parts, food and snacks. 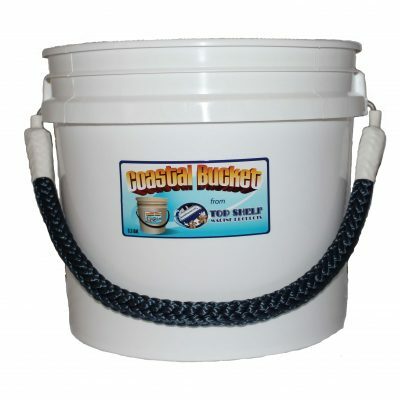 In addition, larger vessels can put the Coastal Bucket to good use for Flybridge and Tuna Tower washdowns. 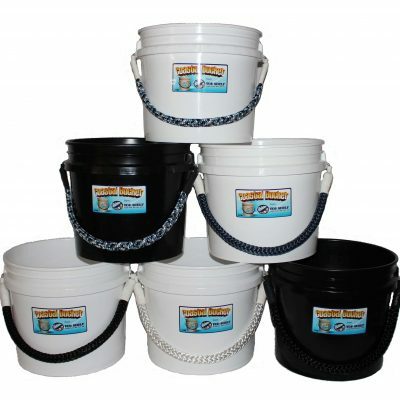 You should know that some shops are re-selling “once used” buckets. These could have contained anything from cole slaw (maybe not too bad for live bait) to medical waste (is your live bait glowing at night? ); yuck!! So just be vigilant. 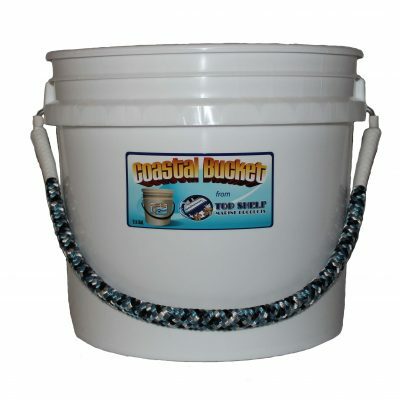 Please note: The style and shape of the bucket may vary slightly from what is shown. However, when ordered in multiples all buckets will “match”.